I love using this video clip as a leadership metaphor. Rodney Dangerfield's character is a typical visionary leader. 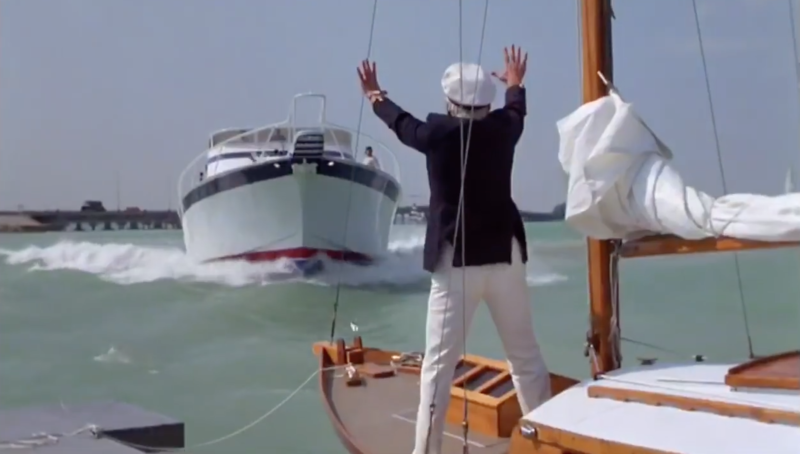 He gets excited about something, and rushes full speed ahead, pushing the captain (the guy who actually knows what he is doing on the boat/organization) out of the way to steer. As a leader, our actions, stories, reactions, style, etc. also produce a wake. One of the topics at Catersource 2019 I will talk about is “Own Your Wake” or owning how your actions, or employees’ actions, continue to toss and turn the company and other employees around well after they have gone. Think about your own wake in all of your actions AND your non-actions. To learn more about owning your wake, join me at my Catersource 2019 session, Best Strategy – Best Year, on February 25th.